This book is a handy tool for pastors, theological students, and laity seeking a better understanding of the teaching of John Calvin. It is a comprehensive, easy-to-read introduction to the most influential book of the Protestant Reformation: Calvin's Institutes of the Christian Religion. 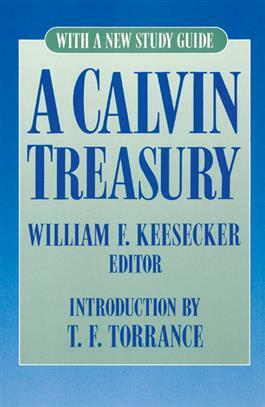 The brief quotations from the Institutes, alphabetized by subject, will be useful to ministers preparing sermons or studying privately, to teachers and students as an introductory guide and reference handbook, and to general readers wishing to probe more deeply into Calvin's life, thought, and work. The included study guide will be of particular help to adult church school classes and other study groups, helping students to readily find quotations relating to specific doctrines.